Wide open spaces are a dominant characteristic of the Solano County landscape, but with California's population expected to grow by 11 million new residents by 2030, open space preservation cannot be taken for granted. 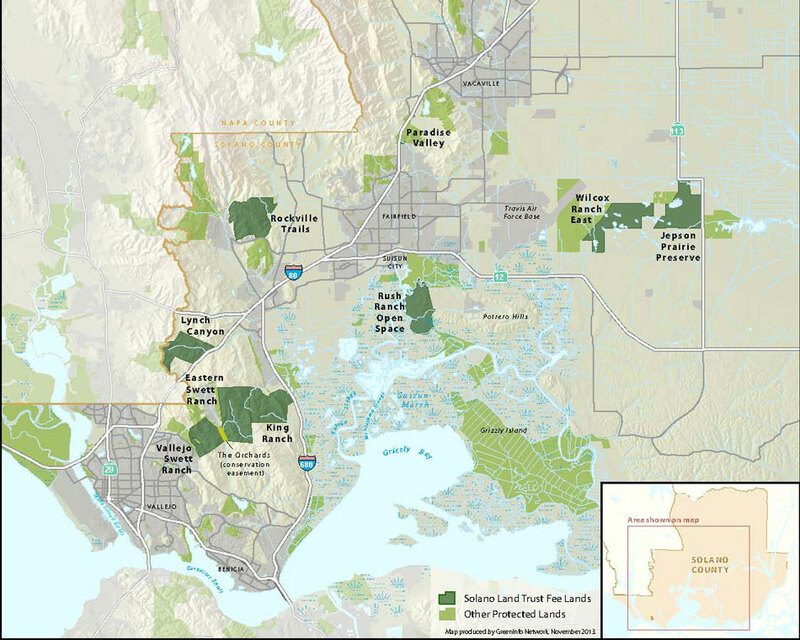 Solano Land Trust has been in the vanguard of protecting Solano County's open space since 1986. To date, SLT has permanently protected 22,270 acres of natural areas and agricultural lands while also stewarding the diverse and important habitats and species on those properties, including many that are threatened and endangered. To protect and enhance our lands, we work in close partnership with various private and public entities, such as the University of California, San Francisco Bay National Estuarine Research Reserve . We also work hand-in-hand with several nonprofits including Access Adventure, Rush Ranch Educational Council, Bay Area Ridge Trail Council, Napa-Solano Audubon and the Solano Resource Conservation District. Grazing on our lands is also important to our mission. Grazing continues historic use patterns, helps control invasive weeds to improve native plant communities and provides a source of income for property maintenance. We hope you will explore our lands. Protect the legacy of Solano County's open spaces by supporting Solano Land Trust.